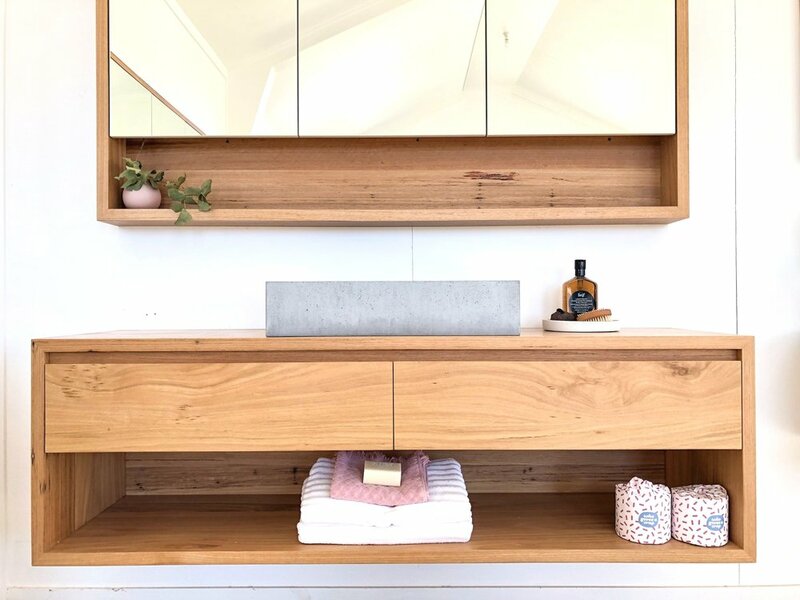 The Kiama wall hung timber vanity is contemporary whilst having that sense of timelessness that would see it fit right into any style of bathroom. The Australian Chestnut timber has a lovely low character blonde - pale brown complexion which pairs perfectly with soft pastels & a neutral colour scheme. The internal structures of the vanity as well as the drawer boxes can be created from solid timber, birch ply or melamine according to preference and budget. The open bottom shelf provides an opportunity to store & display your bathroom essentials. The easy care and high performance Osmo Polyx finish keeps the timber looking beautiful whilst protecting it from water.